Yeah, I'm a health nut. But, I'll admit, there are times when I have to experiment to make things tasty. There are those who like things plain, but that's not my style. I LOVE flavor - sweet, spicy, salty is all good with me. We all know about the açaí craze. 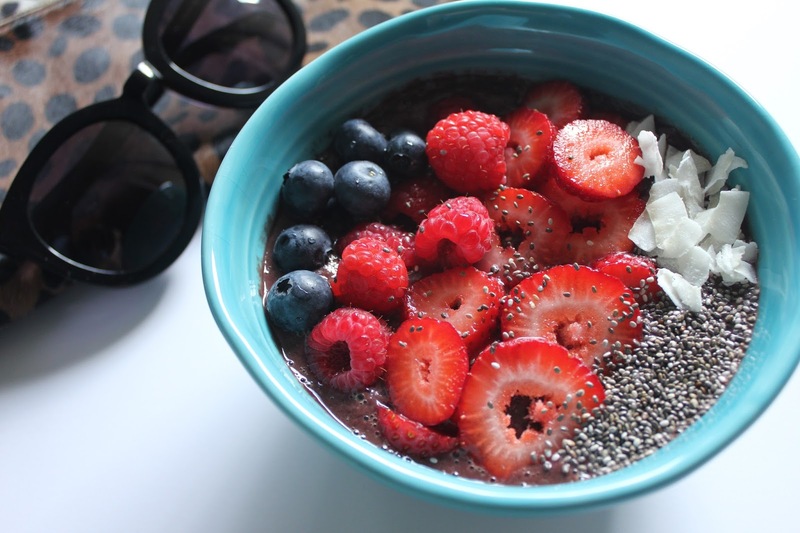 Açaí is an amazing source of antioxidants, fiber, heart healthy-fats, and minerals. It’s also low on sugar – just make sure you grab the unsweetened version. 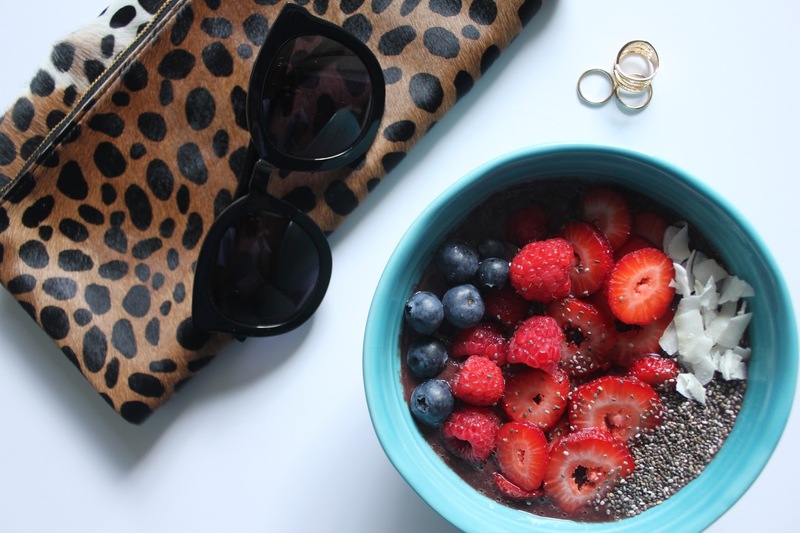 Açaí bowls, smoothies and drinks have flooded our Instagram and Pinterest feeds like no other. Their a perfectly refreshing option for any day. You can play up the toppings with various types of fruit, nuts, granola, seeds and more. FRUIT - any and all types! 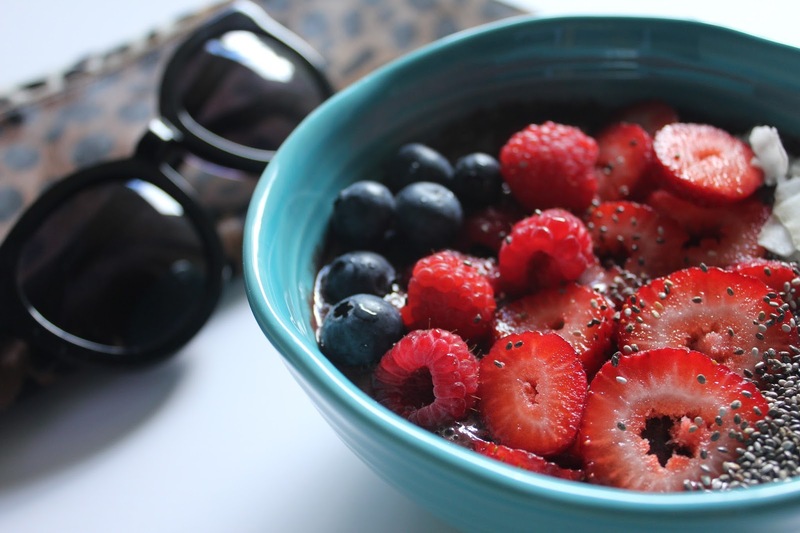 My favorites are strawberries, blueberries, raspberries, kiwi, banana and blackberries. Cacao Nibs - the highest antioxidant food on the planet. It's a sweet little chocolatey addition to any bowl. Hemp Seeds - a great plant-based source of protein and omega. This will add some nutty flavor and an anti-inflammatory effect. Maca - give you a natural energy boost, improves skin, regulates hormones and give the bowl a vanilla-like flavor. Granola - You can add any flavors you enjoy! I opt for sugar-free versions and ones made with gluten-free oats. Coconut Chips - I used to despise coconut, until I realized it's a healthy form of protein, fiber and minerals with a tasty crunch. Yeah, throw some of that all in there for me. Almond Butter - BAE. Such a treat full of calcium, protein and just plain deliciousness. Goji Berries - these Himalayan berries boost your energy and metabolism, plus they're a great source of Vitamin C.
Chia Seeds - my favorite little seeds! They're energy boosting, a healthy source of omega-3 fatty acids, fiber, calcium and more. Bee Pollen - an amino-acid powerhouse, these are a great immunity booster. Honey - Drizzle a little bit of this golden goodness over everything! Blend one thawed acai packet, 1/2 banana and a splash of almond milk. You can add more banana if the consistency needs to be thicker. Pour into bowl and add other 1/2 banana sliced on top along with other toppings! These bowls are super easy to make and absolutely scrumptious! Do you have any favorite toppings or suggestions? Friday and the weekend is almost here! I haven't had dinner yet and this is making me even more hungry!! yummm im all about fruit and honey. glad to know it has energy! I have become an acai freak! I usually make smoothies, but Ill need to try this bowl recipe out! I have actually never tried Acai so I am definitely pinning this! Well this looks absolutely delightful. Your pictures couldn't be any prettier, OMG! This looks like such a fresh and healthy breakfast. I'm going to need this in the mornings during the holidays after eating butter and bread and more butter. Thanks for sharing! Yum! I'm a bit of a health nut as well and with my husband being a Chiropractor we are all about natural health and healing, especially through food. This looks like a such a great, flavorful dish that we are going to have to try for sure! And such beautiful pics as well! this looks amazing! need to make this. OMG I love acai bowls! I crave them all the time and end up spending $8 on one... I definitely need to start making them at home! Looks delish!